We are Philadelphia Business Lawyers and Trial Lawyers, but we have handled matters in almost any location where our clients have needed our services. 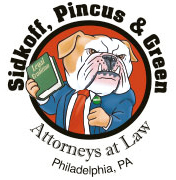 Sidkoff, Pincus & Green (“SPG”) was founded in 1958 and is one of the oldest law firms in Philadelphia. Having recently surpassed our 60th anniversary, we like to think that our longevity is a testament to the quality of our lawyers’ passion, skills and results. “Greatlawyers.com” is a website name that was registered for SPG in 1998 and presented to us as a gift by a grateful client after we helped him prevail in a protracted lawsuit involving breach of contract, whistle-blowing, the freeze-out of a shareholder and other complex business related issues. At first, we modestly declined to use “greatlawyers.com”, but eventually we were persuaded to embrace it when many of our other clients, who heard the story, told us that they agreed it was an accurate description. To see what we mean, the comments of some of our clients can be read here. Our loyalty to each other and our clients translates into the philosophy that once we sign on to a client’s cause, nothing is too big, too complex or too difficult to deter us from our mission. 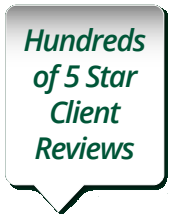 People tell us that in the legal community, we are known to consistently assume responsibility for achieving superior results, regardless of how complex or difficult a case may seem; and our reputation has motivated other Philadelphia business lawyers to refer their hard cases to us. But it is not just lawyers in the Philadelphia area since we have received referral attorney cases from law firms located in New Jersey, California, Maryland, New York, Illinois, Massachusetts, Florida, Texas, Atlanta and other places throughout the United States and foreign countries.